Biology is an exciting, challenging and interesting subject. It is a course that can lead onto many University courses and A-level Biology is a required subject for over 25 different courses other than Biology itself. For example, courses in Midwifery, Dentistry, Geography, Psychology and even materials science all require A-level Biology. At St. Crispins, we aim to deliver A-level Biology in a dynamic and engaging way, we dispense with the lectures and spend more time getting you thinking and applying your knowledge. We have set up our curriculum to use a range of teaching methods, from practicals to presentations, model making to video making and individual work to group work. We aim to provide as much support as we can, with clear extracurricular study, informal lunch time clubs and booster sessions, all to help you achieve your best. We have an excellent team of enthusiastic teachers who here to help you succeed. A level Biology is a subject for those who like challenge and have an interest, passion and drive to understand how the human body and the organisms around us work. Coursework has been completely redeveloped for A level science and students will have a real opportunity to build their practical and investigation skills both in school and out of school as the course progresses. The field of Biology is rapidly changing and it is an exciting era with new technologies such as DNA sequencing, genetic engineering and stem cell research. Meanwhile, food security is a significant issue for governments as crop yields fall and global temperatures rise. 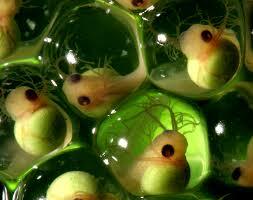 Therefore, the study of Biology is becoming increasingly important both locally and globally. The new course includes exciting content on both familiar core principles such as respiration and photosynthesis as well as new concepts such as protein synthesis and genetic engineering. In the first year of the two year course, students will study key principles in biology including the detailed structure of the cell and the role of biological molecules and enzymes. They will then apply this understanding to explain how we breathe, move blood and defend ourselves from disease. Students will also study other organisms and how they are protected through conservation. In the second year the course develops understanding of the organs in the human body, gene technologies and how the cell is controlled. Recent students have gone on to study veterinary medicine, plant science, zoology, biochemistry and genetics. Other students have used their knowledge and skills to gain entry on to courses such as Psychology, Law and Economics. For careers in Biology click here.